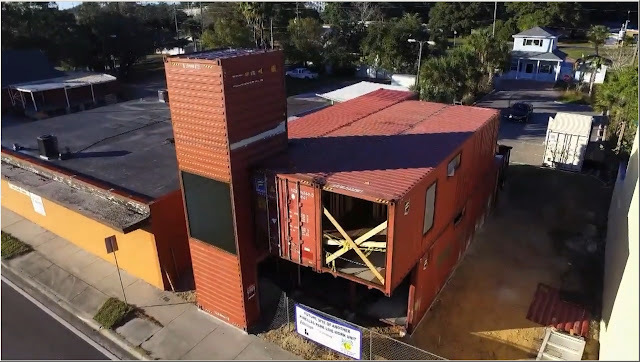 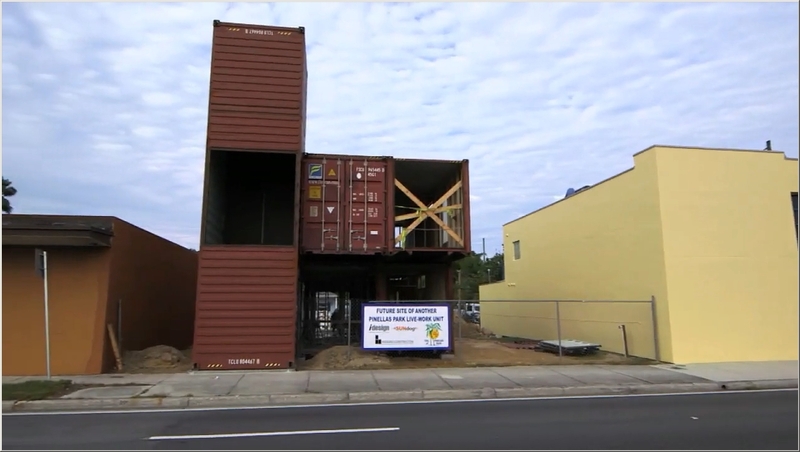 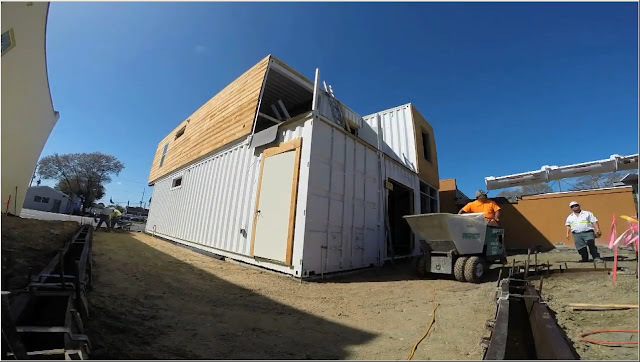 Building a house was pretty much the same for centuries but now there's a material that's totally changing the game: shipping containers. 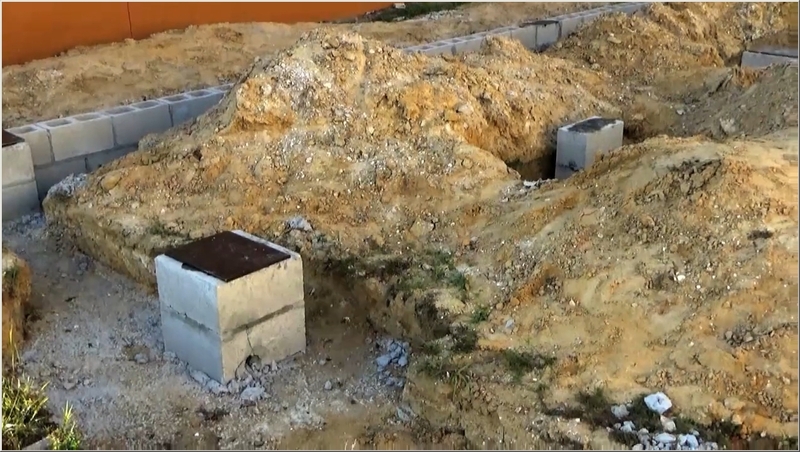 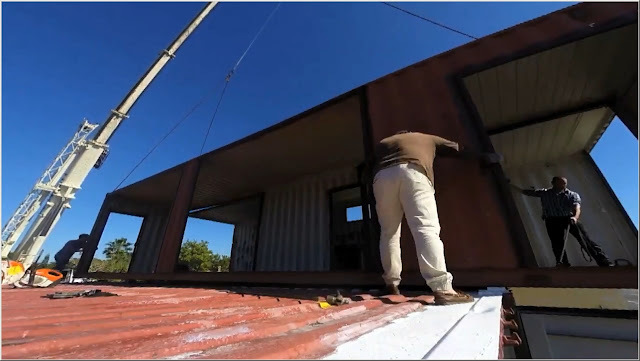 They're cheap, abundant and almost indestructible and they're revolutionising the way homes are being designed and built. 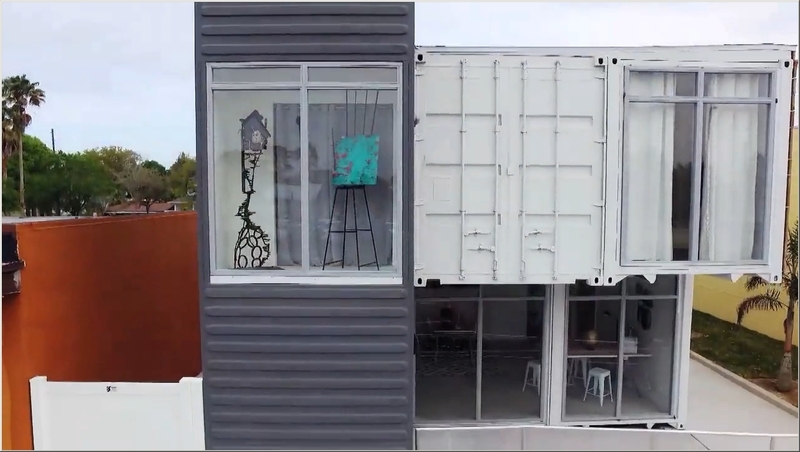 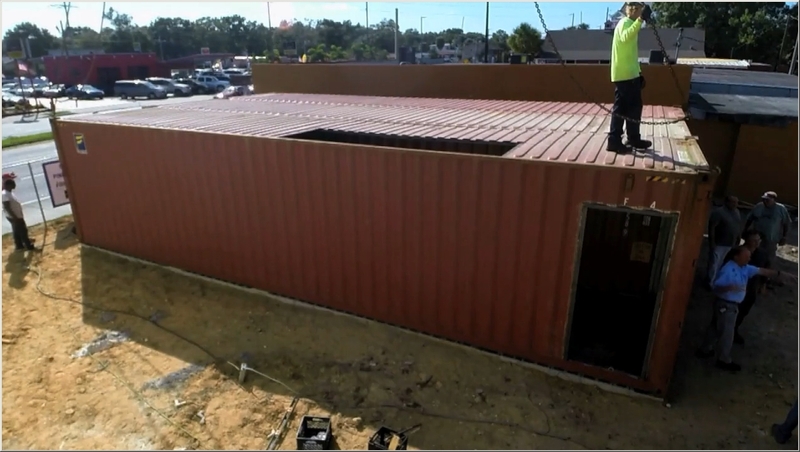 Shipping container building is a movement that's taking the construction world by storm with a little creativity and vision you can create some truly stunning homes. Marketing manager Miranda has been renting near Tampa for ten years. 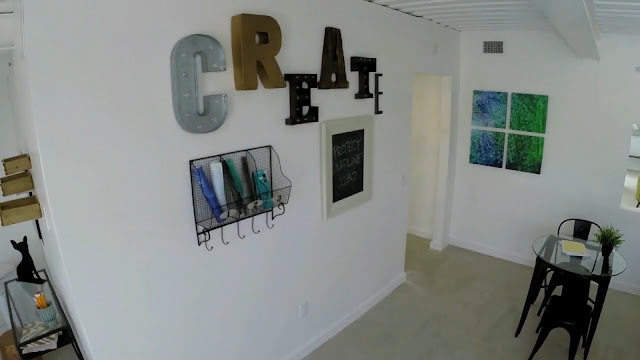 "I'm from Detroit Michigan I moved down here when I was for my first marketing job I just love it so much I would never never move back to the cold. 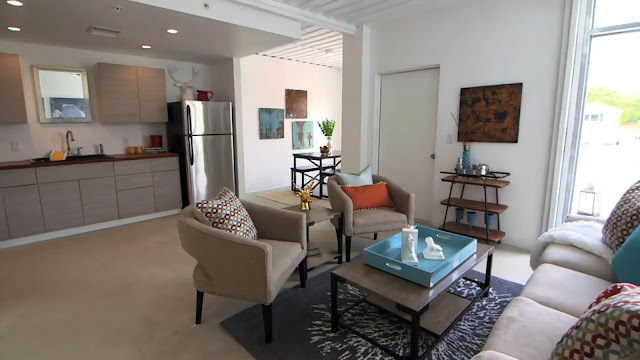 I'm definitely a Florida girl now I'm in sales and marketing and I really need a place where I can work from home. 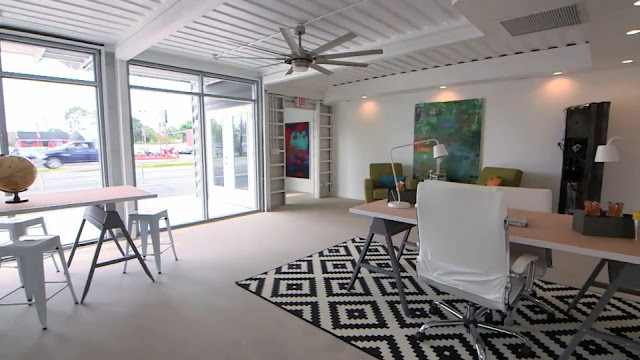 It's gonna be a huge help in my productivity it's gonna save me so much time and I don't have to pay for renting my own office." Miranda wanted a cost-effective contemporary space. "I've been looking for modern industrial kind of home for a while. I really started feeling like I wanted this when I saw this container bar that was built in Tampa it was so cool and I wanted something similar. 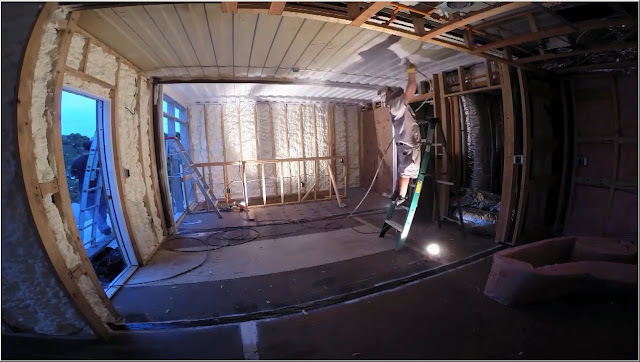 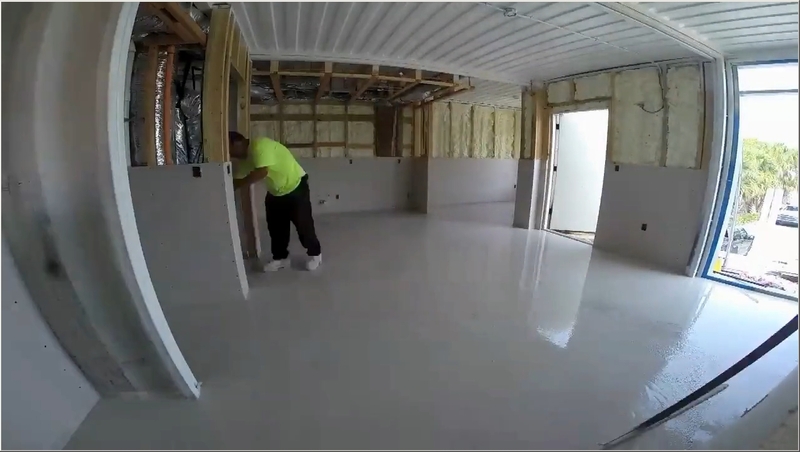 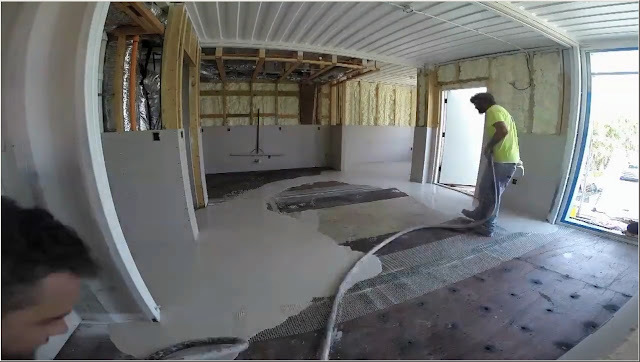 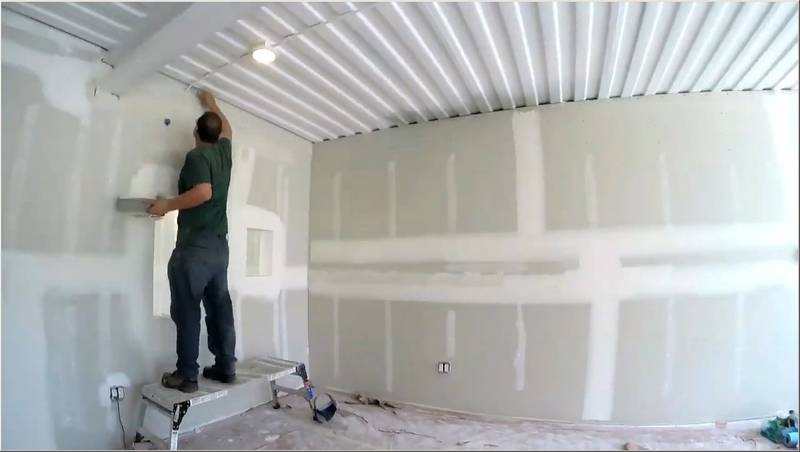 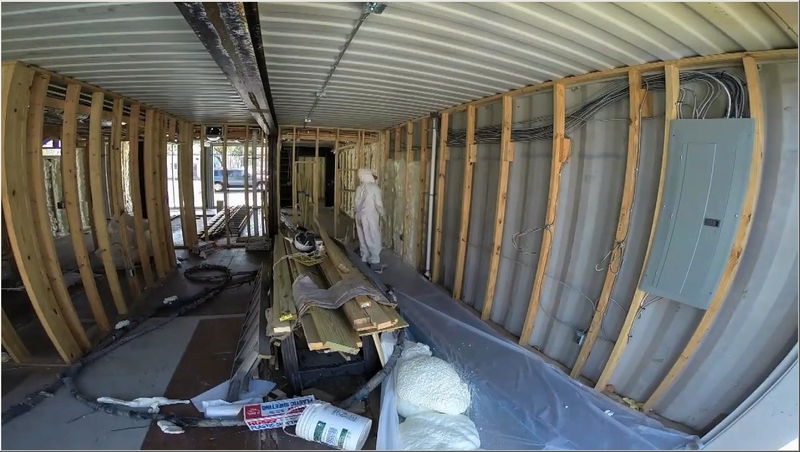 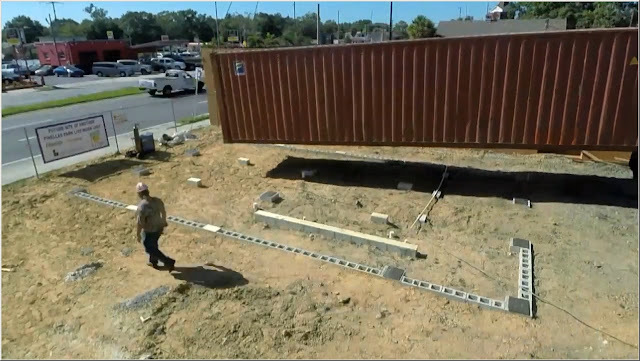 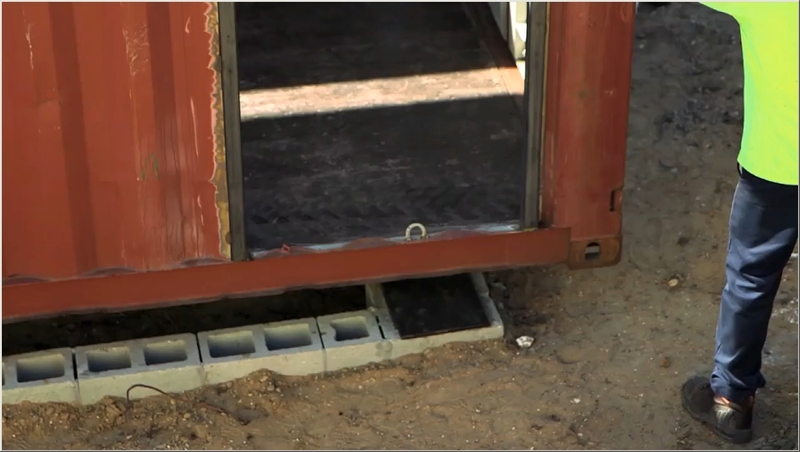 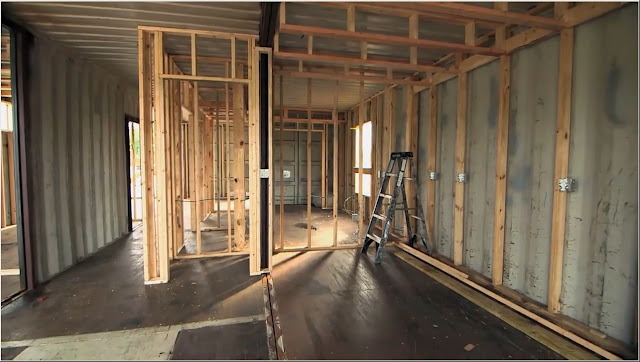 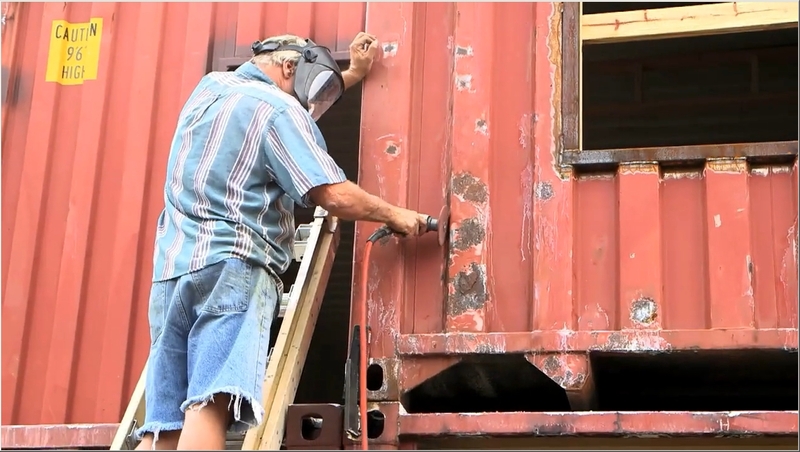 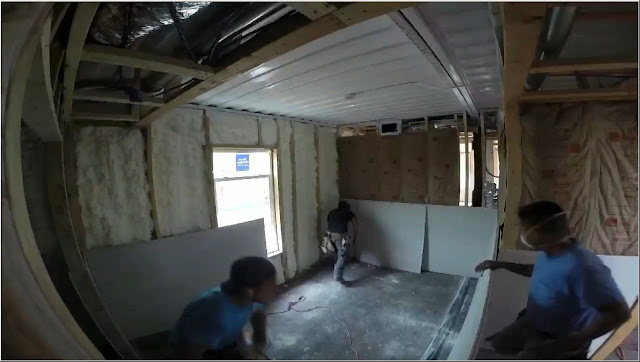 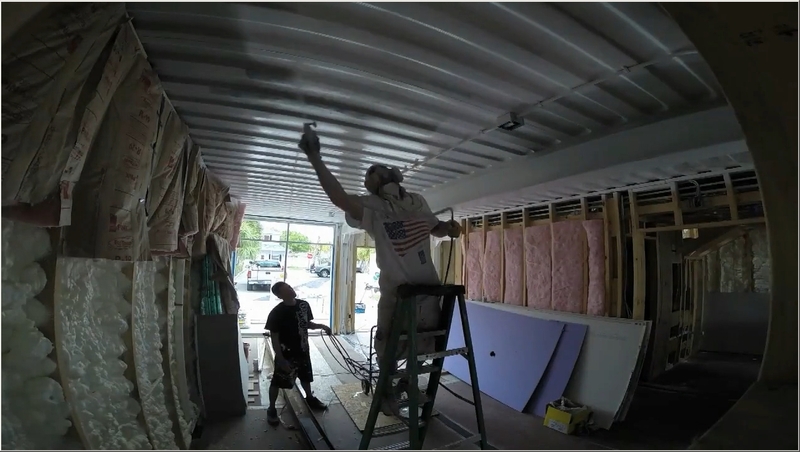 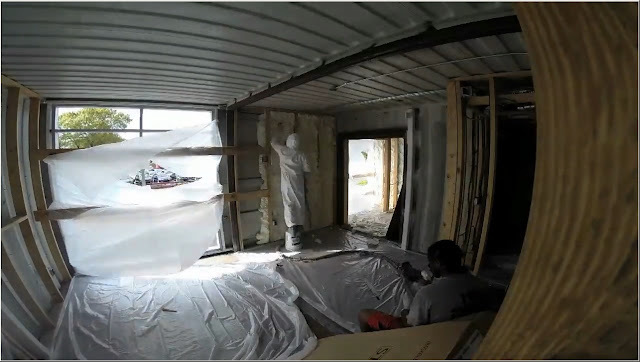 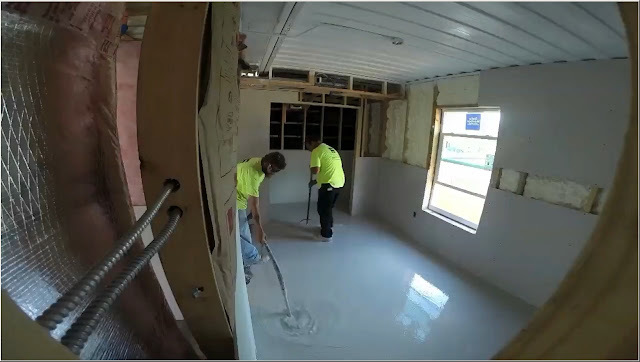 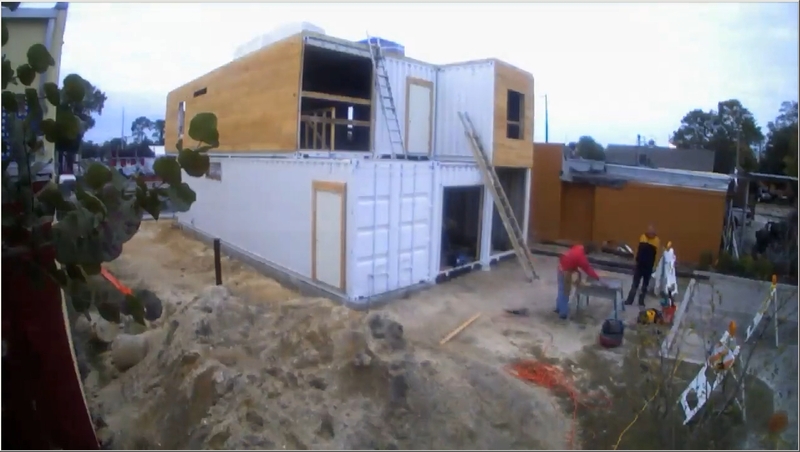 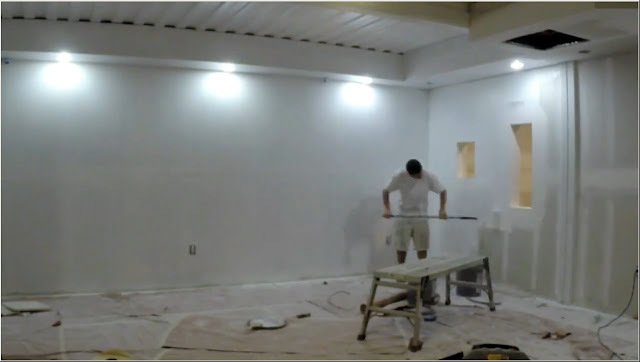 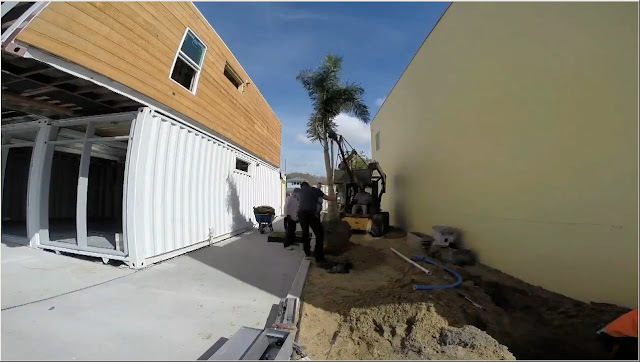 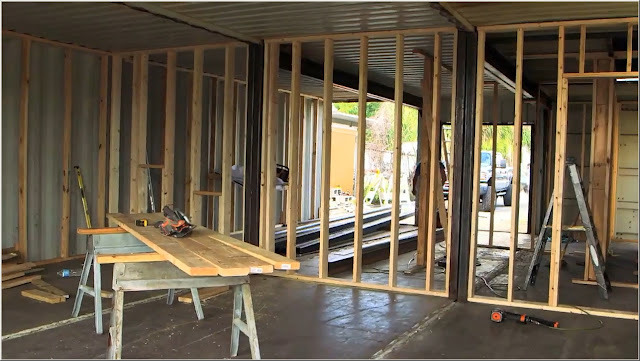 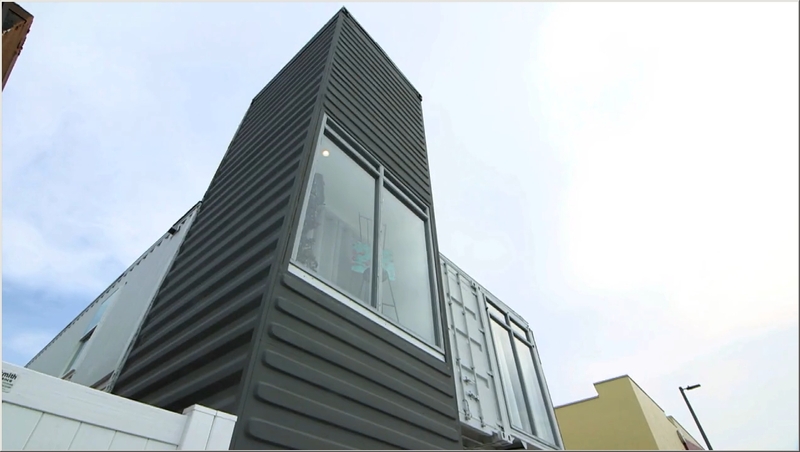 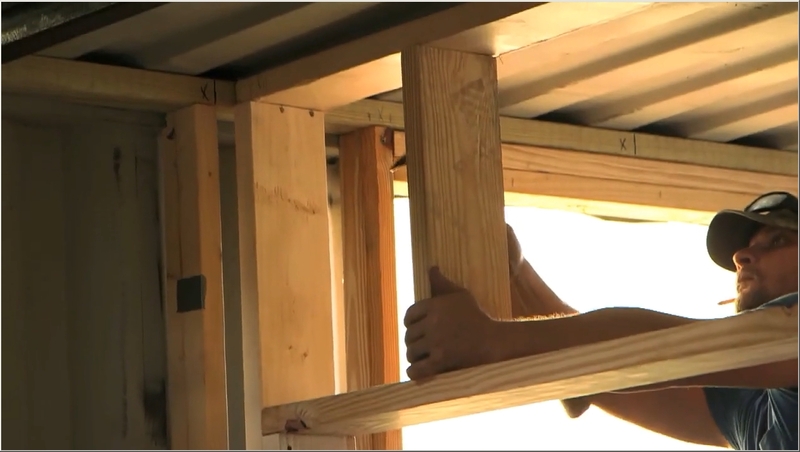 My budget for building my container home is about two hundred and fifty thousand dollars." 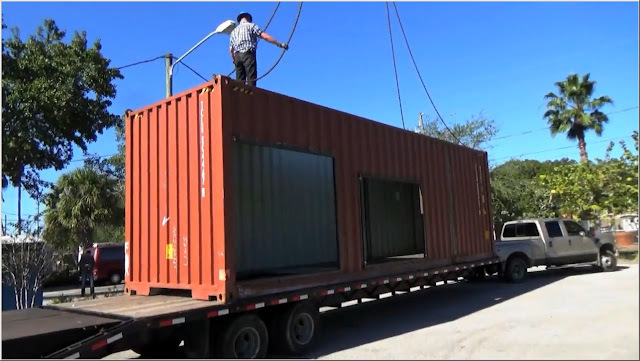 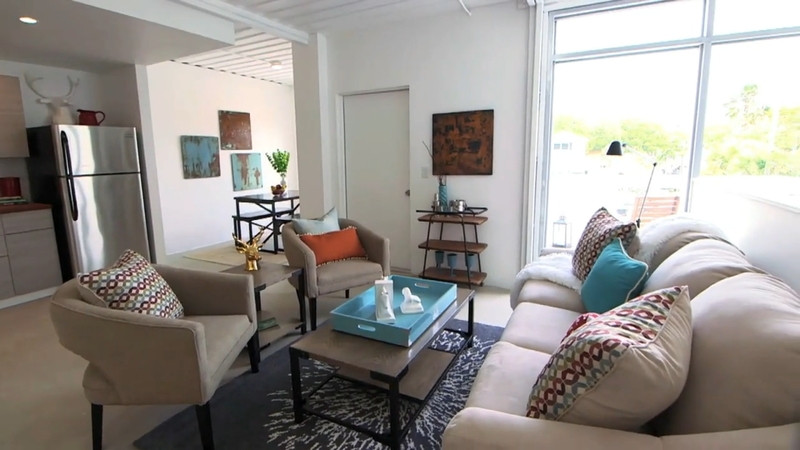 Miranda has hired local contractors who specialized in container homes to help realize the vision. 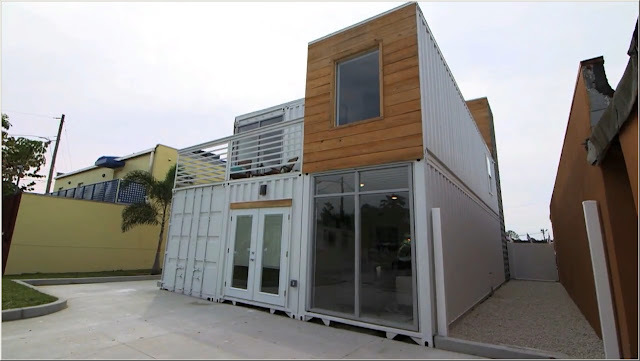 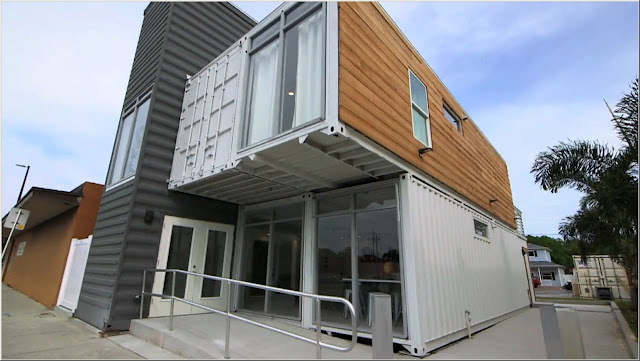 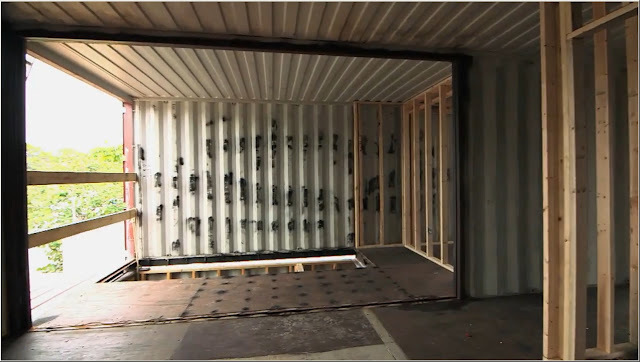 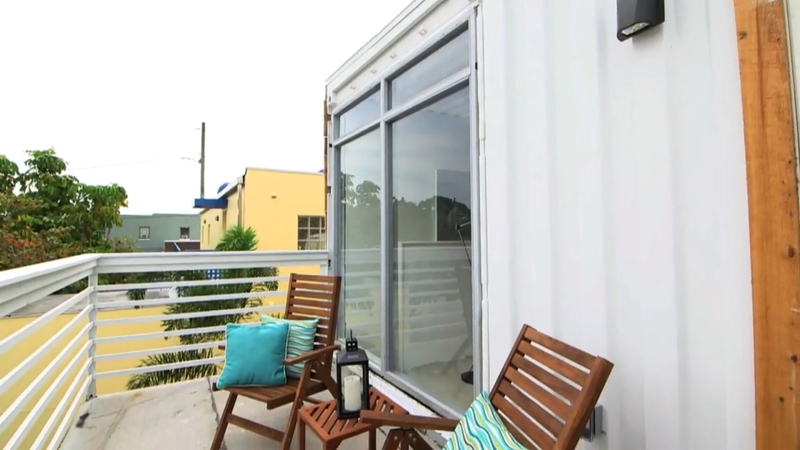 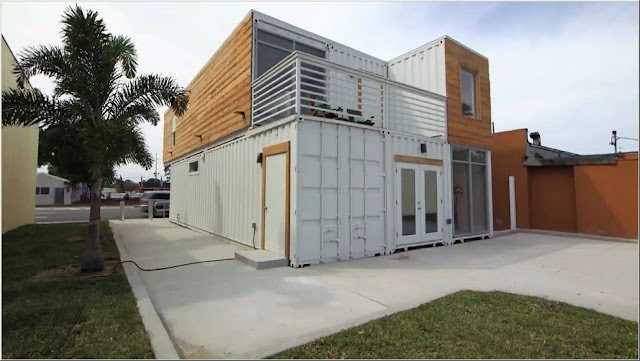 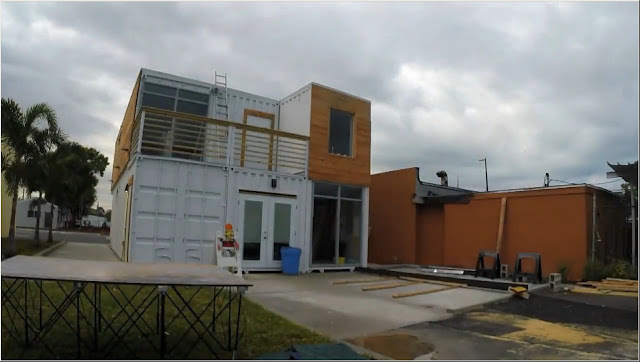 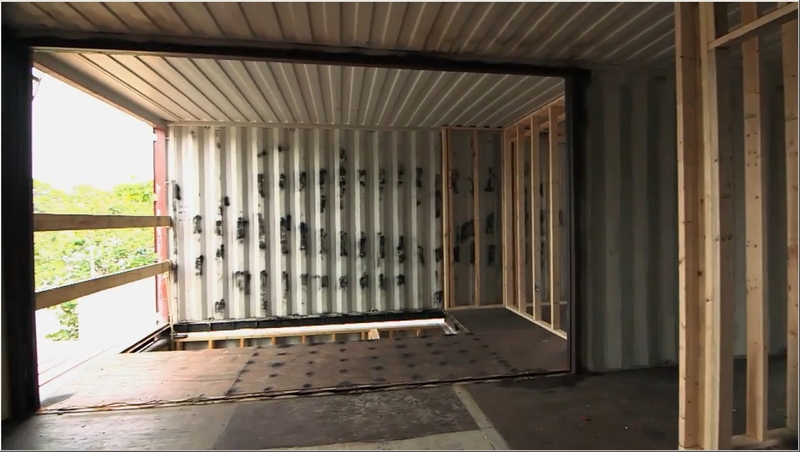 Shipping containers are really one of the best building units that you can have. 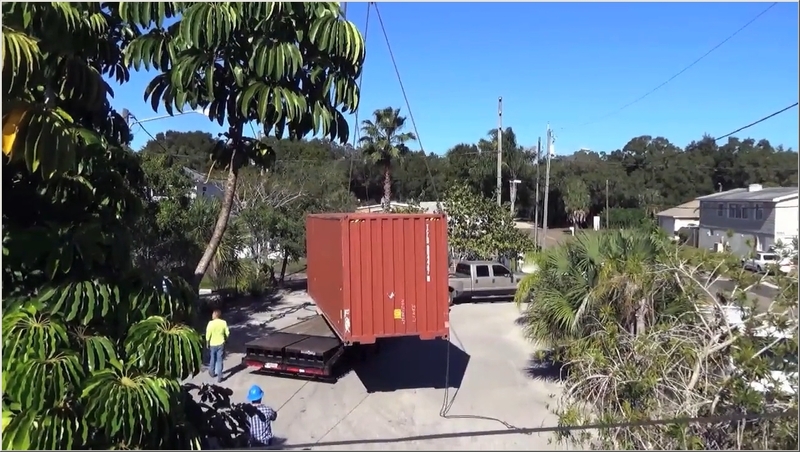 Florida has wind storm conditions with hurricanes and these containers are super strong. It's a sustainable product. There's millions of these that come into Florida ports every year that aren't being utilized. 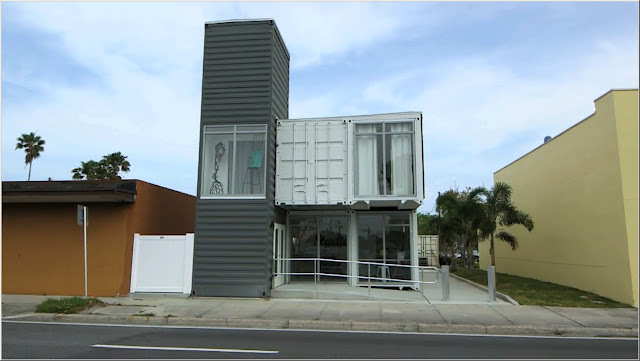 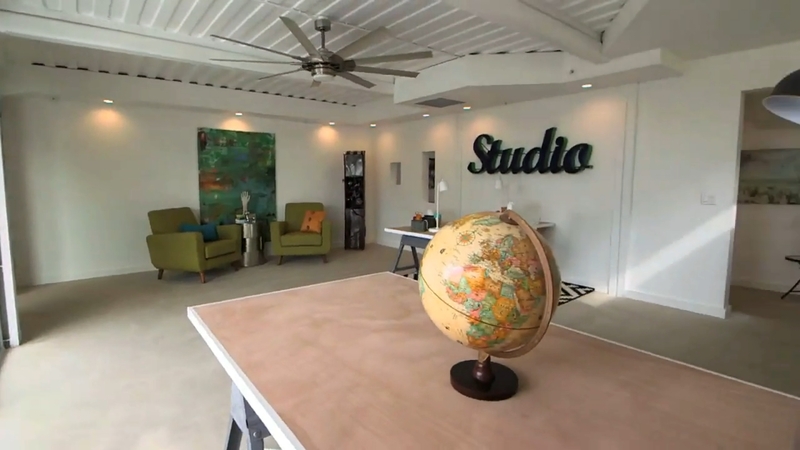 Miranda's home features seven containers, 2,000 square feet area and 30 foot vertical tower serves as the entrance to the ground floor opening to a square foot office workspace. 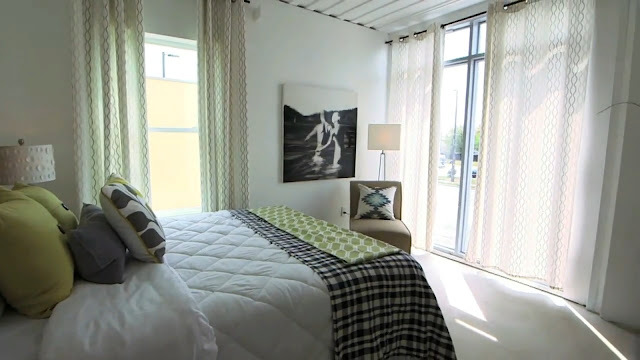 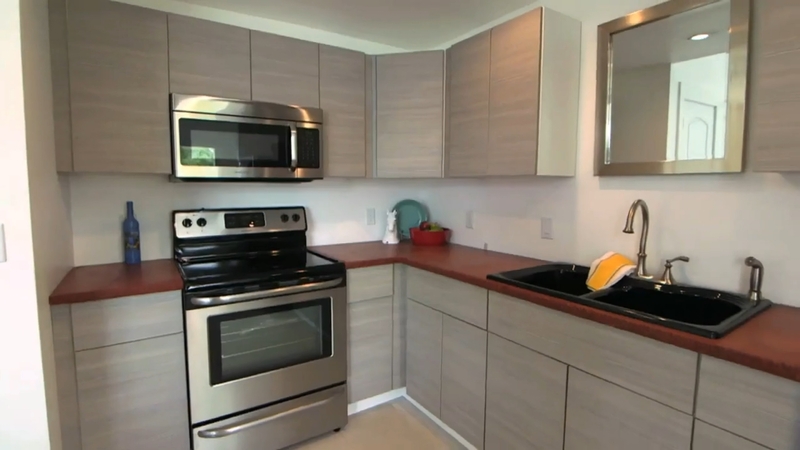 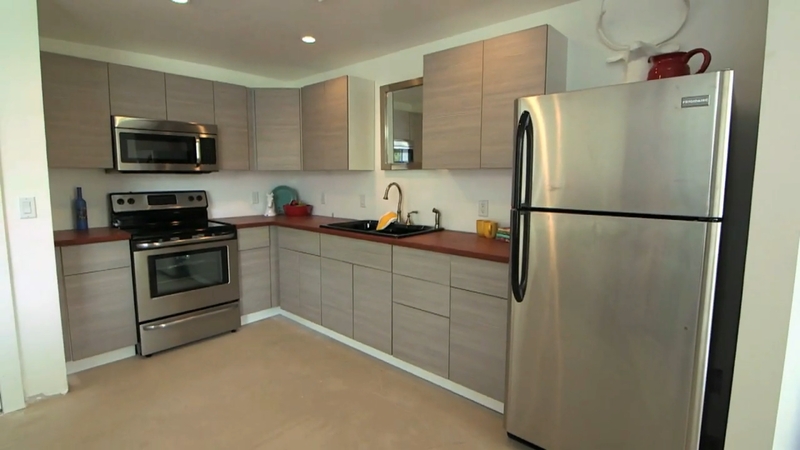 The second floor features two bedrooms, kitchen, dining area and second bathroom. 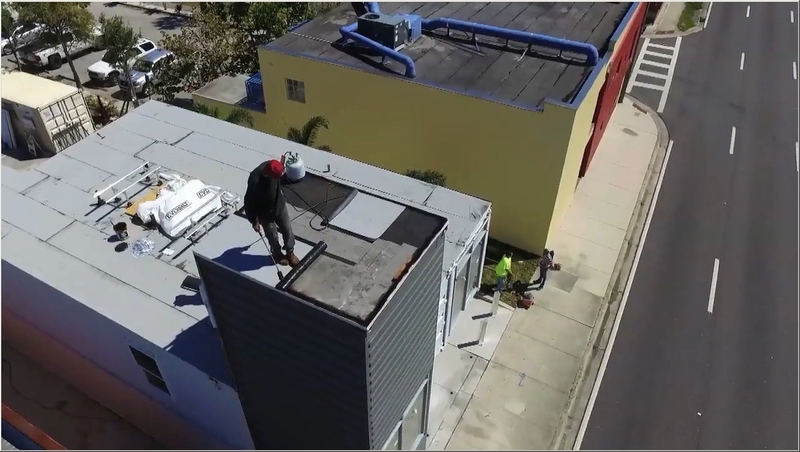 All constructions built watertight because in Florida any time that you leave steel exposed it's going to rust very quickly. 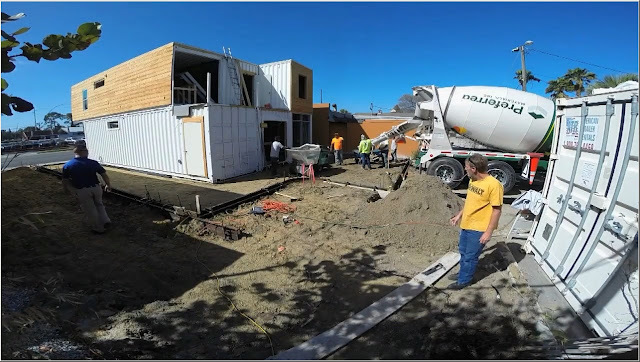 There's a lot of salt in the air and there's a lot of moisture in the air. All the rust areas were putting on acid base and then priming them as quick as possible for paint work very quickly. The exterior has retained the industrial level with wood accents and large windows. The front entrance leads to a large office base for Miranda's home business. 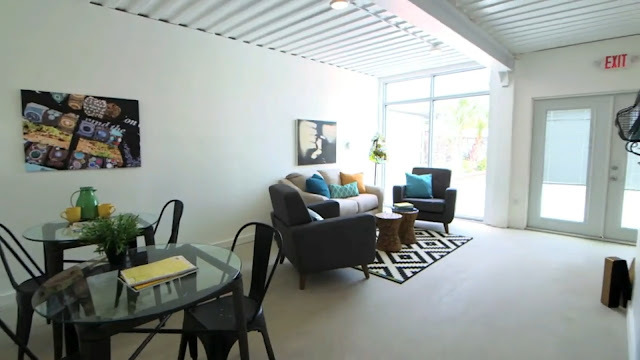 Clean minimalist design and contemporary prints mixed with exposed metal. 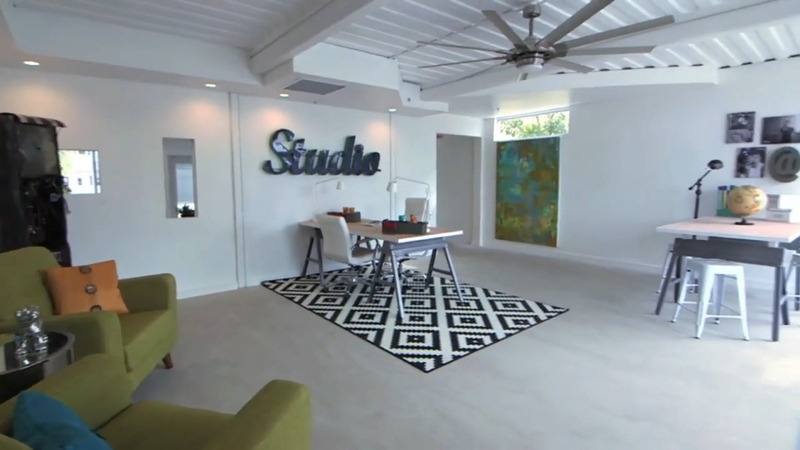 This is a cool space for Miranda to meet clients. Next space is just kind of relaxing when you're having a stressful day then just take a little break. 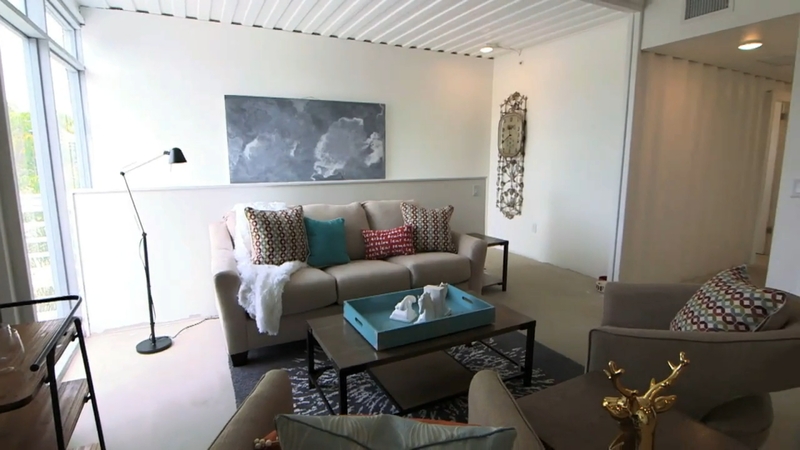 Chic wooden stairs lead to Miranda's main living space. 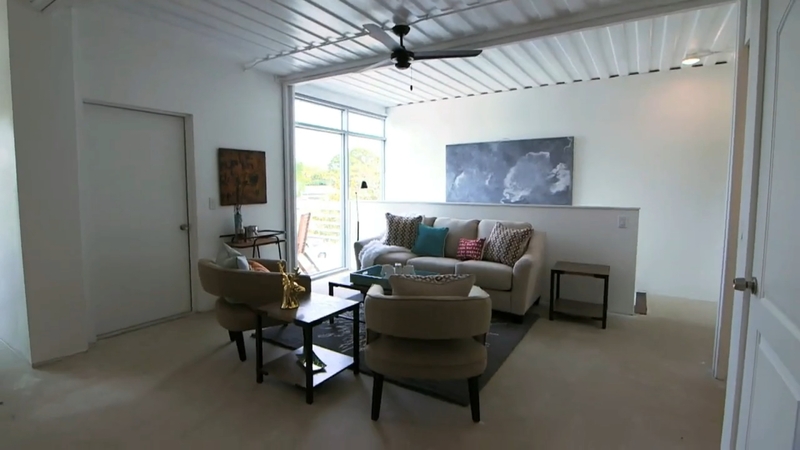 Open floor plan living room features exposed metal ceilings and accent walls. 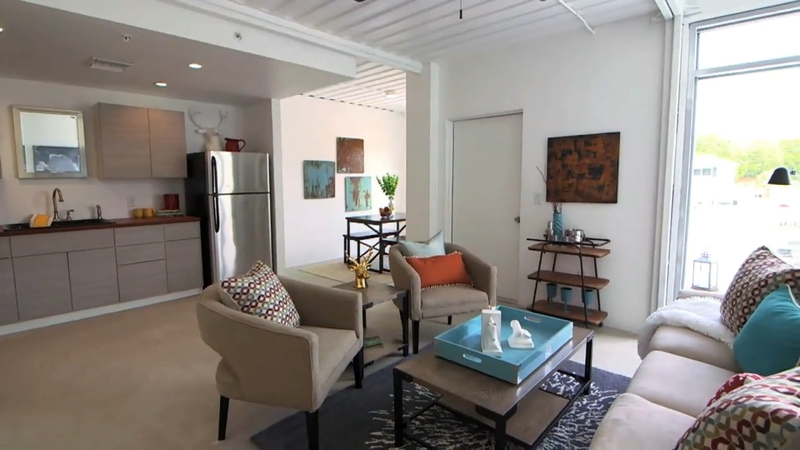 Bright breakfast nook sits alongside a modern kitchen with custom concrete countertop. Miranda's bedroom is light and airy. 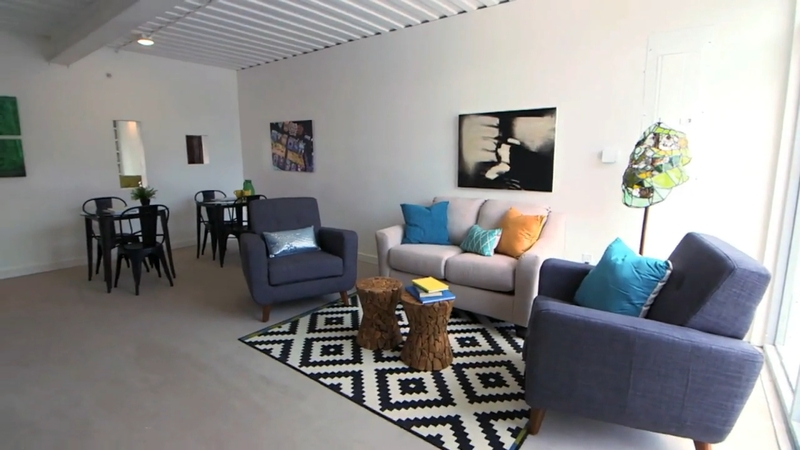 Second bedroom has been turned into a den for Miranda's dog Buddy. 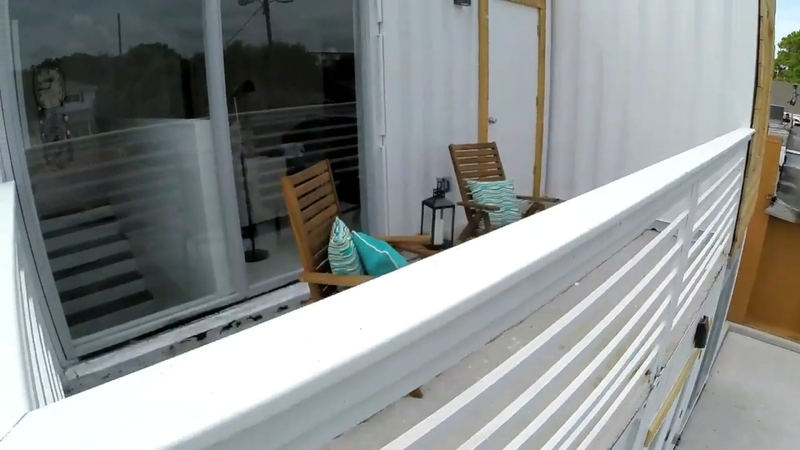 At the back of the house is an outdoor balcony for Miranda to soak up the Florida sun.